Stage Door is the oldest theatre review website in Ontario, celebrating its 24th anniversary this year. Stage Door was founded in 1994 by Jim Lingerfelt and Roger Kershaw as a site to cover all theatre-related news in southwestern Ontario accompanied by as many reviews of productions as possible. 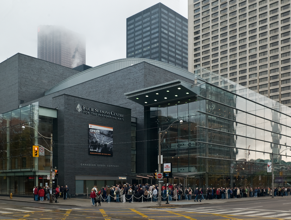 In 2007 the scope of Stage Door expanded to encompass theatrical activity in all of Ontario. When Jim and Rog retired from managing the site in 2009, I took over and have substantially rebuilt the site in order to continue the founders’ goal of chronicling the wealth of theatre in the province through news, reviews and production listings. Bon spectacle! – Enjoy the show!